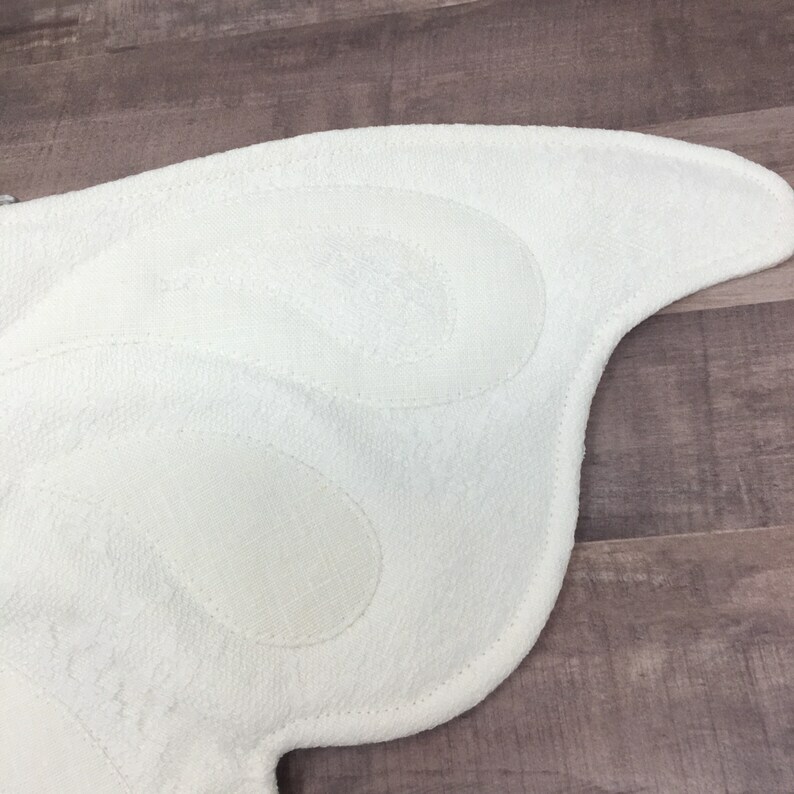 Heirloom quality, quilted butterfly wings in soft white linen and lace. Perfect for pretend play, kids costumes, dress up, make-believe, imaginary play, or toddler costumes. A beautiful photo prop for your holiday or birthday photoshoot. Would be beautiful for a little flower girl or for everyday fun! 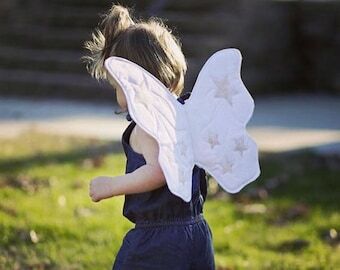 Your little one will look so adorable in their white butterfly wings with linen and lace accents! These wings are MADE TO ORDER! Please allow 1-2 weeks. Your wings may vary slightly from the pictures. Once again, so impressed with the quality of these wings! They are beautiful and my girls love them. 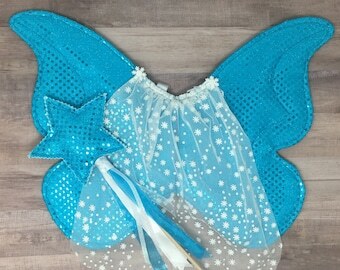 We have both the fairy and butterfly style wings. Highly recommend these for any fairy loving kid!